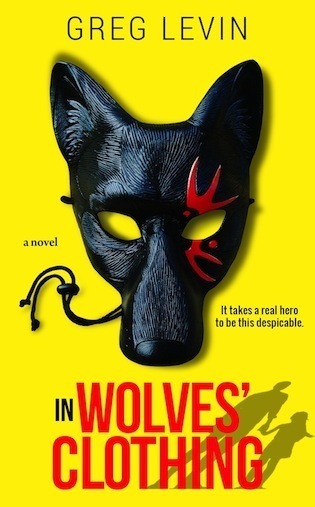 That said, there is one resolution I’ve already started making good on in 2019: “Supporting indie authors who are great writers and good people.” So far this has taken the form of tweets whenever a fellow writer launches a badass book, as well as quick mentions of (and links to) them via my blog. But I’d like to do more. Thus, starting today, I’ll be posting occasional interviews with some of my favorite fellow indie authors of crime thrillers—writers who really hustle and whom I feel deserve more than just a little exposure to awesome readers like you. So without further ado, I’m super-excited to introduce you to my first guest—Elisabeth Elo! Elisabeth’s first suspense novel, North of Boston, was chosen by Booklist as the Best Crime Novel Debut of the Year in 2014. 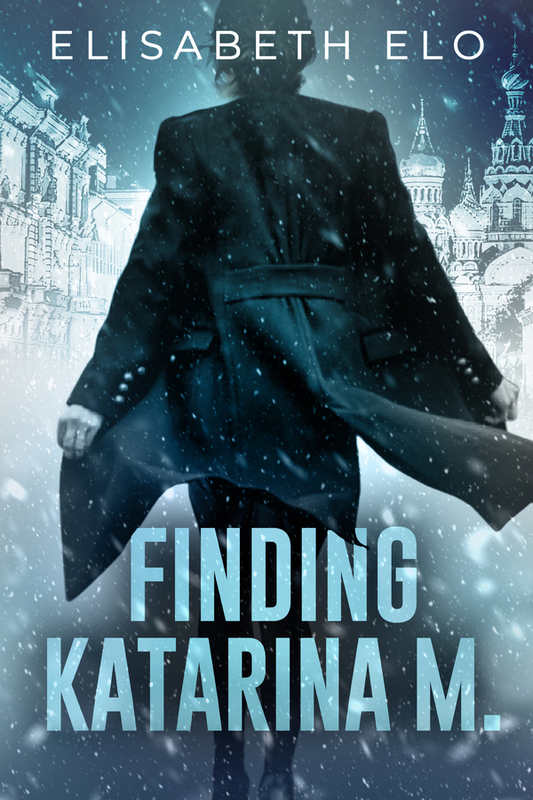 And her gripping new novel, Finding Katarina M., just launched yesterday! First off, Elisabeth, huge congrats on the release and early success of Finding Katarina M. What sparked the idea for this novel? Was writing it a total joy, complete torture, or both? The impulse for Finding Katarina M. came out my earlier novel, North of Boston, in which the main character’s parents have an interesting background. Her father is from Russia, her mother is from Estonia, and the marriage is about as conflicted as you’d expect. So years ago, well before I started writing Katarina, I was thinking about that Estonian family and wondering what happened to the grandmother. Was the writing joy or torture? Both. The joy comes from getting lost in the work for hours and forgetting about my real problems. Being “in the flow” contributes to my psychological health, which is constantly in need of stabilization. The torture comes from two sources. First, the chronic uncertainty that attends large projects with no particular boundaries. Creative freedom is what we all want, but it’s also a terrible burden when literally every word is a choice you alone have to make. Second, you’re investing years of your life in a project that may never see the light of day. A person has to be crazy to do that, and I’m aware of the insanity of that choice every single day. Russia factors largely into the plot of FKM. Was there a lot of research and/or travel involved in the making of the book? Did you drink a lot of vodka to help you capture Russia’s essence? I was naturally concerned that my complete ignorance of Russia would hamper my writing a novel set in Russia. A saner person would have seen this yawning chasm as a clear warning not to proceed. As I am not a saner person (see above), I ventured forth. You can get a lot of information online, and I am a hungry reader of nonfiction, so I educated myself as best I could with what I could lay my hands on. But I knew I couldn’t write about Siberia without going there. Siberia is its own unique place—different from Russia, different from Asia. I was drawn to its utter vastness, its many ethnic groups, its frightening history, its possible future, and so on. The region is largely unknown to most westerners, and I thought of it as a sort of cultural and geographic frontier. I love novels that take me places I haven’t been and show me things I haven’t seen, and as I believe writers should write the books they want to read, the Siberian setting was a good fit for me. Your first thriller, North of Boston, earned wide critical acclaim and was named “Best Crime Novel Debut of the Year” by Booklist in 2014. So my question is, can we be best friends? Also, while writing the new novel, were you affected by any fears of a “sophomore slump,” or did you refuse to view prior success as a burden and just write? I would love to be best friends! Yay! My problem writing a second novel was pretty simple. Everyone loved the main character of my first novel. They loved her comic, melancholic cynicism. The book had a lot going for it, but the main character was the main attraction. The publisher started advertising a sequel before notifying me. I didn’t really want to write a sequel. I think of each book as a world unto itself and when I’m done plumbing that world’s depths, I’m done. However, I am not totally stupid. I do realize that a publisher who is ready and eager to publish your work is not someone to sneeze at. So, despite some misgivings, I set to work on a sequel. It was awful. Everything about it was forced and bad. I started disliking the main character because I could feel her inauthenticity. I had liked her a lot in the first book, so I felt like I was actually destroying something good I had made. I was cannibalizing myself. Part of the reason it’s been five years between books—besides the time involved in writing a research-heavy second novel, and the time involved in having to find a new publisher, and the year it takes to actually publish a book—is that before any of those things could happen, I had to do a major systems reset. I had to completely clean the slate. The result, Finding Katarina M., is its own thing. It has its own reason for being. It’s darker than its predecessor. It’s also more grown-up in that it relies less on an appealing voice and more on plot and setting. What’s the same is its genre-bending nature, the sense of adventure, and its unusual plot twists. I’ll keep this one short and simple: Why crime fiction? I honestly don’t know. My first published novel was a humorous literary novel called Save Your Own, written under the name Elisabeth Brink. I didn’t make a conscious decision to switch genres. I just wrote the next book, North of Boston, and was a little surprised when it was categorized as crime. Now Katarina has come along, and it’s considered a thriller. My current work-in-progress could easily cross back into the general fiction category. Mostly what I care about is having a good story to tell. The need for total silence. The tendency to scribble on index cards, which I throw away without reading. Poor writing posture. Prior to writing crime thrillers and suspense novels, you worked as a halfway house counselor. Did that job impact or inform your fiction in any profound way? Absolutely. There was a period in my life when I was totally surrounded by people who had been through, or were going through, hard times. My own life had presented serious challenges as well. I learned a lot about the good and bad of human nature, and the very tenuous position that most people are in. Luck plays a far greater role in outward success and inner peace than the lucky are ever likely to admit. If you could have a conversation with younger you about writing, what one piece of advice would you give her? Who are a few of your favorite authors? What are you currently reading? I have two favorite authors. The first, Edna O’Brien, writes the most gorgeous prose about her childhood in rural Ireland and her grown-up life as an Irish ex-patriot in London. Her trilogy, The Country Girls, is a work I constantly recommend. My second favorite author, Edward St. Aubyn, writes fictionalized autobiography about growing up in the English aristocracy as an abused child and, later, trying to function in that same society as an adult drug addict. Both of these writers were badly damaged as children and, almost as a defensive strategy, became acute observers of their respective worlds. Their salvation is their gut honesty and their brilliant, startling books. They don’t shy away from any issues, least of all their own. Sometimes their work is too painful to read; other times it’s actually funny. I think we’ve all experienced times when things are so screwed up, the best you can do is laugh. I’m reading two books at the moment. The first is The Riddle of the Labyrinth by Margalit Fox. It’s about Alice Kober, an archeology professor back in the 1940s who attempted to solve one of the most challenging linguistic riddles in history—the hieroglyphic symbols on a bunch of engraved tablets from the Aegean Bronze Age. She got almost all the way to the solution before her untimely death. In the end someone else took credit for cracking the code, but she had set the painstaking groundwork, all while more famous archeologists (men, of course) were getting her to do their copyediting and other grunt work. The second book I’m reading is Nora Ephron’s I Feel Bad About My Neck. No explanation needed. Is there anything you were hoping I’d ask but didn’t? Not a thing. I usually don’t like to talk about myself. It’s not that I’m shy; I just crave novelty and, to the extent that I am not new to me, I don’t find myself to be that interesting. I couldn’t possibly write a memoir. But I do want to thank you for inviting me to your blog. I appreciate the time you are taking out of your busy day to support fellow writers. The pleasure was all mine, Elisabeth—though I think everyone who just read your candid, eloquent and witty responses would argue the pleasure was all theirs. Thank YOU for being such a captivating guest. And not that you need it, but best of luck with the new book! To learn more about Elisabeth and her work, visit www.elisabethelo.com, or check her out on Amazon or Twitter.